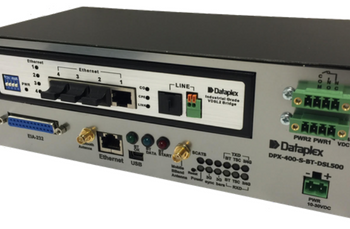 The Dataplex 4G WiFi Router (DPX-570) provides real-time M2M data connectivity, even in harsh environments. The DPX-570 creates reliable point-to-point or point-to-multi-point WAN connections. The DPX-570 has 8 tri-colour LED indicators and a user friendly web interface, making onsite setup and ongoing remote management simple, easy and cost-effective. Selective access to the DPX570 can use a browser (SSL) also Telnet/SSH or secured text messages (SMS). The DPX-570 supports a wide range of telecommunication standards based remote management protocols such as LWM2M and SNMP v1/v2 to support remote management platforms. Extensive support for managing the device from anywhere via SMS allows enterprises to communicate, get status reports, change settings or even execute commands using an SMS gateway. The built-in event notification engine, which sends alarms and notifications via TCP, email or SMS, allows an automated layer of self-monitoring to ensure a quick response to events requiring human intervention. Analogue and Digital I/O can be tied to event notification. Customised programming available for additional hardware or software interfacing. Recessed pushbutton reset and Factory reset. High-speed dual WiFi (802.11b/g/n) as Accesspoint or client with 2×2 MIMO antenna technology and integrated hotspot or collector for travel time based on wifi MAC data. 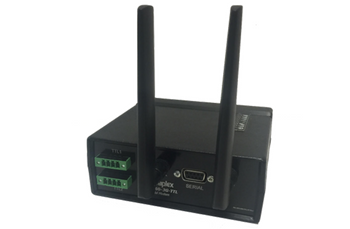 The DPX-570 (DPX-570-BT) Dual Bluetooth option is used for detecting and collecting MAC address for travel time applications. Due to the existence of a dual Bluetooth function, it is capable of detecting up to 20% more MAC addresses in the 15 second scan period than a single antenna DPX400-S-BT device.